Tinker AFB is OKC is selected to coordinate maintenance and sustainment of the B-21 Raider. Oklahoma boasts one of the lowest corporate tax rates in the U.S. According to the Tax Foundation, Oklahoma has the second-lowest corporate tax income rate in the U.S. ROOTS, REINVENTION and THE RINGS: Get the inside story on the revival of the Oklahoma River. The Greater Oklahoma City area was settled at the shot of a gun at the famous Land Run of 1889, bringing thousands of homesteaders from around the world to stake their claim to acres of opportunity. That same entrepreneurial spirit is embedded in our state and in the character of our people. Greater OKC now boasts more than 300 public- and private-sector aviation and aerospace firms. Firms in Greater Oklahoma City’s Bioscience sector boast annual revenues of more than $4.1 billion. Oklahoma City's energy industry has developed significantly from its oil-intense beginnings. There's a reason the Greater Oklahoma City region is such a great place for Logistics: Location. SafetySkills is a tech start-up company who provides online health and safety training to more than 23,000 organizations world-wide. When economic success is measured on a national scale, factors such as U.S. gross domestic product, expanding jobs, falling unemployment, and rising stock prices are good indicators of our country’s economic well-being. But there are other factors, such as inclusion and growth, that provide a more in-depth picture of how healthy our economy is. This is the competition’s 15th year. Hundreds of Oklahomans are involved. A dedicated cadre of business leaders, investors, public sector officials, as well as entrepreneurs from Oklahoma’s innovation economy, come together to create this amazing competition and attend the awards dinner. A new report from the Brookings Metropolitan Policy Program explores the local realities of America’s economic progress, illuminating how metropolitan economies are performing today and over the past decade. Beyond the headlines of the nation’s rising GDP, low unemployment rate and stock market performance, the report finds that truly inclusive economic growth remains rare in metro America. At 30 feet long, the Valkyrie looks the part of a fighter jet and could be fitted with armament to support combat missions, and Kratos Defense officials said Wednesday it will be built in Oklahoma City. It’s been quite a year for the aviation sector in Oklahoma City. With the opening of Sky West Airlines’ new maintenance hangar at Will Rogers World Airport, the groundbreaking of a manufacturing facility by Kratos Defense and Security Systems, the addition of several non-stop destinations from OKC and the continuing construction of the KC-46A maintenance campus at Tinker Air Force Base, the sky really is the limit when it comes to the number-two economic sector in the state. Tinker Air Force Base will be the site of research and evaluation of the B-1 Lancer and B-52 Stratofortress bomber fleets through a contract awarded to Boeing by the Department of Defense. An Oklahoma Medical Research Foundation scientist recently received a $5.9 million grant to study new ways to control the kind of bleeding that occurs during aneurysms. Navigating city hall when it comes to permitting and code can be intimidating to even the most seasoned developer or entrepreneurs in Oklahoma City. Enter Jane Ward, a 25-year-plus veteran of City Hall, as Oklahoma City’s development center liaison. In a position that was created late in 2018, Ward is here to help advocate for developers, businesses and individuals as they go through the permitting process with the city. In many ways, the story of the Oklahoma River and the modern-day renaissance of Oklahoma City go hand-in-hand. The river and Oklahoma City had many ups and downs during their first century before the original MAPS program jump started an unprecedented rebirth for both. You can read more about the rise of the Oklahoma River here. The #1 city worth moving to if you want to launch a business, and a Top 10 fastest-growing city. Top 10 for recession recovery, and a Top 10 job growth ranking. The #1 city for tech growth among its peers. A "must-visit destination in 2016" and one of the best places for young adults to thrive. 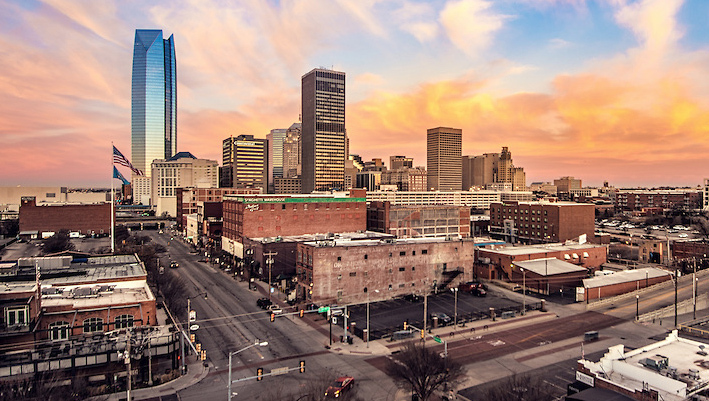 The list of reasons you should locate your business in Oklahoma City is growing - almost as quickly as the list of reasons why people love living here. In Greater Oklahoma City, we understand that partnership among business, government, EDOs and civic leaders is integral to our success. 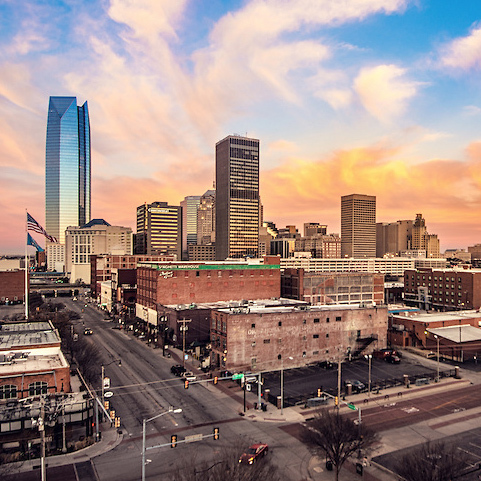 Let us introduce you to the thriving 10-county region that is greater Oklahoma City: a city that has rediscovered its strengths - and redefined itself for the future; and to the regional economic development partnership that is here to help you create success. The cost of living and residential real estate pricing in the OKC area were significantly lower than in other cities being considered as potential locations... Employees who have moved here from California, Arizona and Colorado have mentioned the lower cost of living, lack of traffic congestion, Bricktown, good schools, and friendly people as reasons they are very happy with their decision. This wasn't just an economic development initiative. This was a joining of a corporation with real people and a real community and a real sense of partnership. Brenda Hudson, Director of SMB Services for Dell Inc. This was the most unique thing I have ever been involved in, in my 32 years of Air Force service. I have never dealt with a Chamber like this before. They were so aggressive and responsive. They were going to make it happen. You sensed it. It was extremely rewarding for me to be able to deal with people of that caliber. We found the city and the state to be flexible and easy to work with in helping us understand and maximize the financial incentives for locating the [AAA] center here in OKC. Our diverse properties and sites offer variety and solutions that bring you the environment, access and employment base you seek. 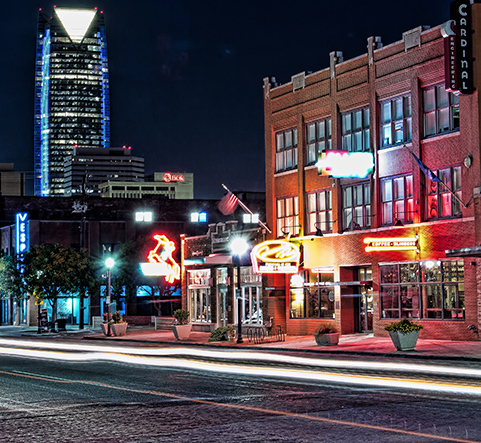 Finding the perfect real estate option for your relocation or expansion is easy to do in Greater Oklahoma City. With a combination of affordability, availability and flexibility there is an option that meets your needs. The region boasts numerous Certified Site and Site Ready locations, ample greenfield sites, and unique brownfield redevelopment sites. 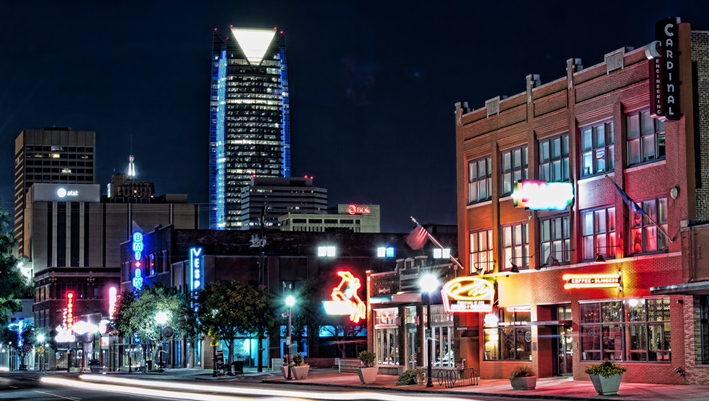 You have a lot to consider as you prepare to relocate or expand to Oklahoma City. We offer the following information to help you explore your opportunities. View all of our resources. The Greater Oklahoma City Chamber tracks more than a dozen economic indicators to provide a snapshot and trend analysis for the Oklahoma City metropolitan area economy. Want to dive into the data yourself to see how Greater Oklahoma City will maximize the value of your business? Whether you are an entrepreneur looking to launch a new business or already have your brand established, the SizeUp LBI – or local business intelligence – tool provides expert regional analysis on advertising strategies, demographics data and business and industry information.